Mercury glass creates a beautiful reflective quality on this set of 4 assorted green glass votive holders, each 3.75" high. 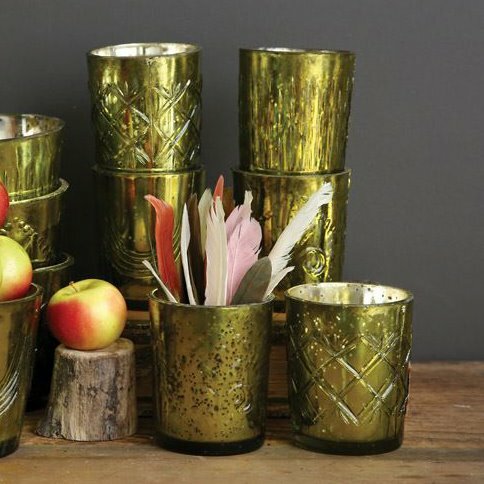 Each votive holder in the set is the same size and same color, but each has a different embossed pattern. Modern chartreuse green. Boxed set of 4. Made by Creative Co-op. Imported.